Ordering a custom painted dog figurine on our website is an easy 1, 2, 3 step process! First you will want to pick the dog figurine that most looks like your dog. Search for your breed by navigating through our alphabetized breed list. You will want to find your dog breed and then select the color that most looks like your dog too. For example, if you a a cream colored French Bulldog you will first want to locate the French Bulldog category and then select the cream colored Frenchie versus the brindle colored. We custom paint several of the dog figurines that we carry. We custom paint our guardian angel dogs, our mini dog figurines, and our standard size figurines. You will choose the size and style you prefer based on how you wish to use the figurine. Our guardian angels are perfect for remembering a dog who has passed away. Our mini figurines are great for craft projects or cake toppers. Our standard size figurines work beautifully to be placed on top of a memorial or urn. After you pick your breed and figurine, you will be able to upload 3 photos of your dog. The photos should be clear and show different sides of your dog. The details showed in your photos will allow our artists to include all the characteristics of your dog. The more details you show, the more details we can include. We love capturing details like coat coloring, unique markings, and eye color. 1, 2, 3..like we said, it’s easy! 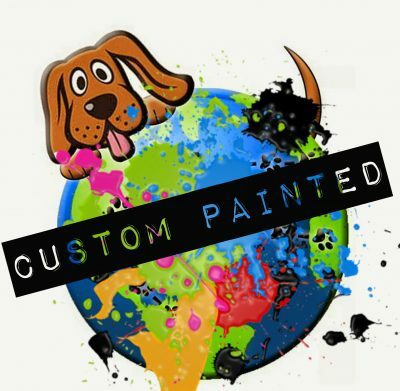 If you wish to send us more than 3 photos of your dog, you can email them to us at DLSCustomPaint@gmail.com. 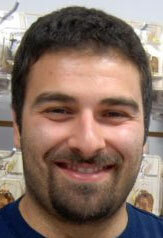 After we finish painting your custom dog figurine, we will email you photos of the figurine for you to review. You can let us know of any changes you would like us to make or if you think it’s good to go. It will be finished off with a protective sealer.